What did we learn about this Duke team from their performance against Tech, or maybe the lack thereof ??? Nothing new was learned. Duke has no Rim protection and perimeter defense can lapse at times. We also learned, or it was reinforced, that Quinn Cook is a very resilient fellow. He will fight until the Final Whistle and has silently become Duke’s MVP. Well, I’m of the opinion that we can never be too sure which Duke team shows up. As many folks who do not get ESPN3 lamented, we did not get to see the game until the 1st Half was almost over. Expecting to find Duke blowing out a 2-12 Va. Tech, we were flabbergasted !!! Once again, as you have pointed out so many times, it seemed that Duke was playing down to the level of it’s competition. Then, all of a sudden they awoke and realized they were in danger of losing. Fortunately, it was in time, but just in the nick of time !!! “Oaks” had a career high of 30 points and 7 of his 9 Rebounds were on the Offensive Boards. Does it matter that neither he, nor anyone else, did not log a “double-double” ??? I can’t understand how he can be so nimble on the Offensive end and much less so on Defense. There is no set goal for anyone to achieve a “double-double” every game, at least none that I am aware of. I agree that there is no goal of a “double-double” but the media seems obsessed with it. I think if you look at the stellar shooting of Va. Tech. you will realize the cause for so few Defensive Rebounds. There simply were not many Rebounds to be had !!! As a matter of fact, this was the worst Defensive Rebounding outing of the season for Duke. Of course when most of your opponent’s shot are going in, there just ain’t many Defensive Rebounds out there to be had !!! What do you think of this tweet by @JeffBorzello, one of ESPN’s CBB Recruting Insiders ??? Yikes !!! They have discovered Duke’s worst kept secret. Ha !!! It would be more fun to see what would happen if “Oaks” were able to double-team himself, since he is more often double-teamed than not. That could be the next version of “Twilight Zone” (CBB version) !!! Quinn Cook scored 26 Points on 6 of 11 from outside the Arc and 8 of 13 otherwise, plus 4 of 6 from the Charity Stripe. Coach K sez he’s a 1st Team All-Conference Player. How does his continued performance compare to other Guards in this year’s class ??? When I hear First Team All-Conference only two names immediately spring to mind, Jerian Grant (17ppg, 6.6apg) and Malcolm Brogdon (14ppg 4rpg and 3 apg). How does Cook compare to these guys ??? Duke’s lone Senior averages 16 Points, 3 Rebounds and as many Assists, but in the last 5 games he has failed to score over 20 Points only once, and that was a 17 Point game performance at Syracuse. Of the listed players only Jerian Grant plays as many minutes for his team (36 mpg) as Cook does for Duke. As the Blue Devils are now second in Conference Standings and with Virginia’s players neutralizing each other, I think that First Team All Conference is a lock for Cook but he should have higher ambitions than that. We should probably be discussing Cook as the Conference Player of the Year. I think the knee-jerk voting will allow “Oaks” to sweep as many non-specific awards as possible. Of course, “Quinny” ought to be in line for the Bob Cousey and Jerry West Awards for exceptional Guard play. I sincerely hope that consideration be given to the level of competition in the conference, as opposed to someone who is simply a shooter. Amile only played 14 minutes. He logged in 6 Rebounds, 3 on each side of the Court. He also blocked a shot and had an Assist, yet most of his minutes went to Matt, and a few to “Plums” and Grayson. Coach K sez he has no “dog house” so what do you think is going on with Duke Co-Captain ??? I haven’t seen any egregious mistakes on the court from Jefferson, at least nothing worse than any other player. DukeBasketballReport has tracked each player’s minutes before and after Rasheed Sulaimon, and Jefferson is the only player playing less. They attributed this to Coach K playing a smaller lineup more often. This doesn’t make that much sense because Jahlil is playing 33 minutes, so maybe they mean a smaller line up with the big fellow. Justise Winslow has been very effective at the “four spot,” has been hitting the boards hard, so maybe Coach K likes exploiting that mismatch. Jefferson’s Free Throw shooting leaves a lot to be desired, but right now he is Duke’s best pick and roll defender among the “Bigs.” Whenever he switches on to a Guard, it is not considered a mismatch with those long arms !!! He is still an effective Low Post scorer and an above average Rebounder. Do you remember how they beat Louisville ??? That was a beautiful game with Jefferson being effective in the High Post or around the Free Throw Line, and Okafor in the low post. The man in the middle of Syracuse’s 2-3 Zone will be important. It may be Jefferson, but more likely Winslow, but just know either can be effective. Matt Jones is more likely to have a good scoring night from distance, and he more-often-than-not plays good Defense. You’re correct about his performance from the Charity Stripe, as he is only a smidgen better than “Oaks” there. That pick-and-roll performance is certainly correct, but it only seems to happen when “Oaks” is off the floor. I originally got caught up in an upperclassman Co-Captain not playing, or even the affect of Rasheed’s dismissal. Looking at the big picture, at this time of year, one has to look at what works, and I’m sure that’s what we all want, even Amile !!! The Hokies shot and amazing 54.5% from outside the Arc, 53.4% from the Field, and 80% from the Charity Stripe. There were plenty of folks on Twitter who were critical of Duke’s defensive prowess. After the game, Coach K blamed it on “slippage,” insinuating he could not practice the team hard. What do you make of that ??? All I can say to that is, when Duke came back into the game, around the 11 minute mark, Jahlil Okafor was sitting on the bench. He is an amazing talent who “mails it in” on Defense. When his teammates are watching him in the Low Post, they become very complacent. In contrast, whenever those same teammates are all involved on Offense, they are incredibly active on the other end of the Court. They are not beaten so easily off the dribble. I want to give Virginia Tech some credit but I can’t see past the fact that Jalen Hudson scored a career high 23 points, while averaging only 6.5 a game. I have heard some cries that maybe Duke could have gone to a Zone much earlier and taken the fight out of Virginia Tech, but they played most of the 1st Half in their weakest Man-to-Man Defense. So, by the time they started playing Zone, VT’s confidence levels were off the charts and they were hitting everything they threw at the rim. By anyone’s standard, the Va. Tech shooting was incredible. It has only been surpassed in a Duke game by the Blue Devil’s annihilation of Notre Dame in Cameron, where they shot 60% from outside the Arc, 61% from inside, and 73% from the Charity Stripe. In that game, Notre Dame played the same abysmal defense Duke played for most of the game. Fortunately, the difference is Duke woke up from their slumber in time to get into OverTime. Your point on “Oaks” is not lost on me, especially if you note that towards the end of the game, where Coach K was making defensive/offensive substitutions. He routinely took “Oaks” out in defensive situations and it paid premiums. Sometimes, I believe the obvious, that “Oaks” “plays” defense so as not to get into foul trouble and be able to stay on the Court to score. Don’t take that as selfish when Coach K sez that everything goes thru him !!! Look, I like the kid as much as any other Duke player, but there has not been a who played equally on both side of the Court since maybe the great Wilt Chamberlain. That is why I am not a fan of NBA play anymore. It seems to be that a player who excels on both sides of the Court is considered to be mediocre, even if he logs in Points and Rebounds in the teens every game of the year. It is yet another negative impact of the “one-and-done” that is so distasteful to me. Tied for 5th place in the ACC with North Carolina, Syracuse is not rolling over and playing dead, even though they will have no post-season games. They gave Duke a run for their money in the Carrier Dome and “Oaks” was very complimentary of Rakeem Christmas. What do you expect this time in Cameron ??? They have nothing to lose, but there are some sub-plots to consider. Rakeem Christmas is a Senior and has NBA aspirations. Who best to prove yourself against than the potential first pick in the upcoming NBA Draft? Christmas thinks that he missed some easy shots and looks forward to the second matchup according to Syracuse.com. Jim Boeheim is next in line to crack 1000 Wins in Division I Men’s Basketball. He isn’t going to give Duke a win would he? Not again! Surely he will want to avenge his indiscretion last season. Michael Gbinige comes back to Cameron. Well, “Silent G” will certainly be comfortable with the tims at Cameron, and I believe that the fans will be classy and welcome him back … well, as long as he doesn’t duplicate his effort back on the 14th. Yes, regardless of where they are not going in post-season play, they would love to clip Duke at home, even more so than at the Carrier Dome. The battle between Christmas and “Oaks” should be a good one, and I look forward to seeing them both on both sides of the Court. That would bode well for Duke going forward. With three games left in the regular season, what do you think of the season so far ??? It has been a very emotional season. Shouting at inanimate objects (TV) hair pulling etc. For a team that appears to be one of the best in college basketball, they have had one too many close games. You just never know what Duke team will show up, but it has been fun rooting for these guys. One thing I must say is the season has gone by pretty quickly !!! WOW !!! So, I’m not the only one yelling at the TV during a game ??? It’s good to know that I’m not alone. I was heartened that Duke proved that they had a “Plan B” when “Oaks” went down briefly. While that’s not something I want to see, it also means that foul trouble might not weigh as heavily on Duke in the post-season. It also demonstrated that Duke is capable of stellar Defense under certain circumstances. A Special Thanks to you, our readers !!! We always ask this, especially after an exceptional game like Clemson, so what did we learn after this game ??? Well to state the obvious, Duke is still a pretty formidable team without star Freshman, Jahlil Okafor. 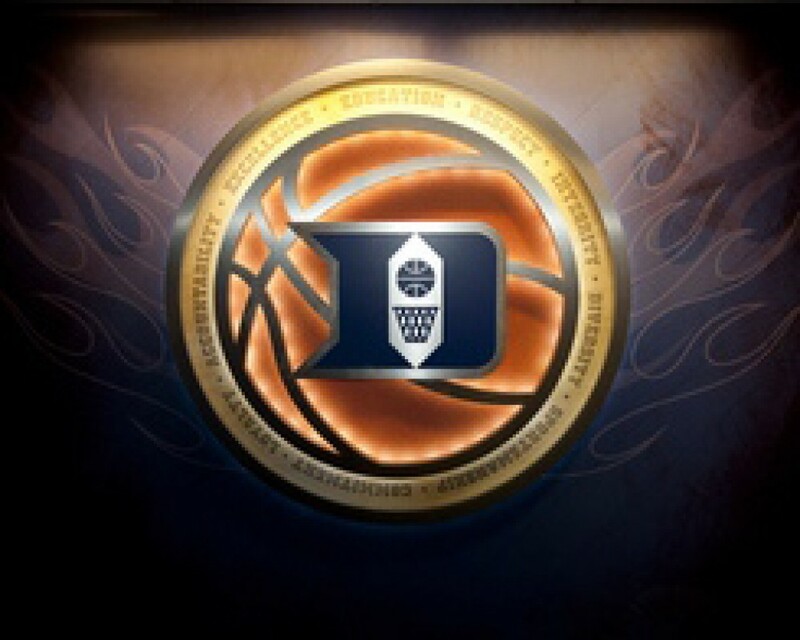 Recalling the old John Houseman Smith Barney commercial, Duke won the game “… the old fashioned way …” They EARNED it !!! Granted, Clemson has been having a rough season right from the start, but Duke proved that in the event “Oaks” gets into foul trouble, they have a very capable “Plan B” !!! They also proved that they can still prevail, even when the Trifectas are not dropping. Duke shot 35% on 7 of 20 shooting from outside the Arc. Also, while we’re talking about shooting, the team converted 11 of 13 from the Charity Stripe. Who would you give the Game Ball to ??? I want to give it to Justise Winslow with his “double-double” and a personal best of 13 Rebounds, but Quinn Cook already has it with 27 points, 4 rebounds and as many assists. Cook controlled the game from start to finish. OK, then I’ll give my Game Ball to “The Chief” – Justise Winslow, in recognition of his inspired play and looking like the player from earlier in the season. We have both noted that his contributions were needed so very much. Marshall Plumlee and Grayson Allen got plenty of minutes each. Who impressed you more ??? Grayson Allen scored 10 points in 18 minutes, but I like how Marshall played. He didn’t have the stats but played big on a night when Amile Jefferson was a no-show. I’m just so pleased to see Grayson getting time on the Court in this Guard-heavy Duke team. Each and every game he demonstrates the athleticism and verve he was recruited for. As I’ve said so many times before, a Frosh cannot get better without actual game experience. I understand he started as odd-man-out, but with his demonstrating that he is up to the challenge, he ought to be seen more in important circumstances. I agree that “Plums” played important minutes very well that do not show on the Box Score. I will continue to say that, especially as the only “big” in a 4 Guard line-up, he HAS to stay around the Paint and stop with those goofy looking and rarely effective Picks outside of the Arc. He does not have the hands for Pick-and-Roll plays, and his best chance at not being Boxed Out is remaining down low. Just to humour me, notice in the next game, how often one of those goofy Picks produces a score, versus his missing out on a Rebound for a Put Back. In this game, he had no Offensive Rebounds because he was always out of position and easily Boxed Out while trying to return to where he should have been positioned. I’m totally surprised the Coaching Staff has not “delivered” him from that predilection. Justise Winslow looked like his old self from the beginning of the season with a huge “double-double” of 20 Points and 13 Rebounds. Did you notice anything different in his play now from early on, before he was injured ??? From the start of this game it was obvious that Justise Winslow’s strength is penetrating off the dribble. Teams usually clog the middle to prevent that. Plus, with Okafor taking up so much space on the Block, it is normally crowded around the basket, with the double-team assigned to stop the Freshman Center. Against Clemson, at least in the 1st Half, the Lane was open for business and Winslow took advantage of that. Clemson made an adjustment, closing down the middle, in the 2nd Half that slowed him down. Winslow was also great on the boards filling in for Okafor. I was so pleased to see “The Chief” back in the form we came to expect from him, early on. Understandably, he was victimized by much-too-much contact Referees routinely allow in the Lane. Plus, in more than one game, he had gone to the floor for a loose ball, and made awkward contact with the floor on his shoulder. He has an uncanny way of scoring in some of the strangest situations, and the most unseemly angles. He’s also a viable threat from outside the Arc !!! I’m glad he is back in time for the March run !!! Should we be worried about Amile Jefferson, because in a game where he was meant to play huge minutes, he played far less than Marshall Plumlee, without the burden of foul trouble ??? Against Syracuse Amile scored 13 Points, had 5 rebounds and 6 blocked shots. Without Jahlil Okafor, Amile started at Center and only played 16 minutes, registering 2 Points, 2 Turnovers, and a Foul. A very strange season indeed, so far, for the Junior. In Ocean’s 12, a character named Matsui gave us the expression “Lost in Translation” where he spoke in odd machinations that meant nothing to anyone except one of the few people he was speaking to. I would have to say that Amile’s season is one that is “Lost in Translation” because there are times when he appears, playing very well, and times when he simply disappears on the floor. Some folks have postulated that part might have been due to his relationship with the banished Rasheed as they also share the same classes. If that is so, maybe we have a peephole into why Sulaimon received his pink-slip. All this means that neither of us has a clue as to his erratic play this season. I surely hope something changes in time for the tougher play that is guaranteed ahead !!! Coach K made sure the energy was “up” for the entire game, and made no bones about crediting the “Crazies” as the “6th Man.” Down Tobacco Road, Coach Roy Williams chided his crowd, on the eve of the Dean Smith memorial service for not being all that involved in the game. The media thought him to be wrong. What say you ??? I think William’s problem was that the crowd was not clued in to what they were doing when they paid homage to Dean Smith with the “Four Corners Offense” play. To be fair not many fans recognise basketball plays. That play was designed specifically to burn time without the use of a Shot Clock. To play it at the beginning of a game would cause me to be confused at best. I believe the play resulted in a score but barely as the Shot Clock almost expired and the pass was almost stolen or deflected. It is one thing to pay homage to a great man off the Court, but in live action with the season they are having !!! Then you have to factor in the age of the students, most of them wouldn’t know the “Four Corners Offense” if it jumped up and hit them in the face. I thought it was a good tribute until William’s attack. You have hit the nail squarely on the head, Mate !!! I believe that present Carolina fans know who Dean Smith was, and that he was a cornerstone of everything that is good and true about the university. I do not believe they know why. I don’t believe they know much more about his coaching than what hangs from the rafters in the building named for him. I understand that Coach Roy Williams wanted to honour Dean Smith by bringing back the “4 Corner Offense” by raising his 4 fingers, as his mentor did way back when. Later, Coach Roy explained how the team practiced it in secret. I have to wonder just how many of those in the Dean Dome were even born when the Shot Clock was instituted … to thwart the genius of the “4 Corner Offense” … some 30 years ago. As someone who is often guilty of over-thinking things and then getting one’s feelings hurt when it’s not appreciated, it takes one to know one, and I saw it as a mistake right from the start. I think that in this situation, under the circumstances, with Coach Roy being of the purest intent, he had the right to have his feelings hurt. That’s what his comments meant to me, and I surely felt for him !!! If anyone thought otherwise, I’ll bet they never lost a mentor of the stature of Dean Smith. There is a wonderful video entitled: “Jahlil Okafor: Playing with Purpose” that was done by a local Fox affiliate. If you have not seen it yet, we most heartily suggest it to you. It will tell you so much about why he is who he is !!! Thanks for reading. We welcome and hope you will comment on our thoughts, and add you own !!! In the installment, Rowan Shiell and Bermuda Bob discuss the 1st Syracuse game this weekend, their recent violations problem, and the upcoming 1st North Carolina game. This year’s game was another sell-out in the Carrier Dome, but the game had a different feeling. Duke won quieting the sea of orange fans in the 2nd Half. What did we learn about this team with THIS win ??? Rowan: I learned that Jahlil Okafor is a decent post defender. Rakeem Christmas went right at him over and over and came up short. I do wonder if the fans bought their tickets before Syracuse announced their postseason ban ??? Syracuse just did not have that fight in them considering the amount of support they had. I was confident of the outcome regardless of the score in the 1st Half when Syracuse was up big. Jay Bilas of ESPN, while covering the game, was extraordinarily outspoken about the terrible officiating on both sides. Rowan: I don’t know, sometimes he gets it wrong. Jahlil was standing straight up and Christmas was creating the contact with his many fakes. Okafor even took a few elbows. However, that fast break where a Syracuse player was fouled on one end, then Cook got fouled on the other end was a legit “swallowing of the whistle” moment. Cooney didn’t get the call but Cook fortunately did. The fact that a Commentator the caliber of Jay Bilas felt it necessary to point it out on so many occasions means that the officiating was somewhere between appalling and atrocious. “Oaks” had nice things to say about his opponent, Rakeem Christmas. Our friend at Duke Report, David Aldridge, posted an excellent article this week asking if “Oaks” has become a victim of his own success. It that possible, or just another way of saying that everyone has his “number” ??? Rowan: Jahlil Okafor is very well mannered and his having good things to say about an opponent is not a surprise. As they say, “Game does not lie.” Personalities shine thru on the Court, and he is always the first to help a fellow up off the floor, whether it’s a teammate or not. As for the ‘victim of his own success,’ part well with numbers like this of course, there will be game plans especially for him. It is the ultimate sign of respect. For my part he makes a great decoy as in while opponents are worried about him. Guys like Quinn Cook can take advantage. That’s how Virginia was beaten. Bermuda Bob: It was surely wonderful to see that “Oaks” is a gentle and gentile giant. He just fought a battle with another “big” and prevailed in being a large part of a hard fought win. He did so while not getting into foul trouble nor fouling out. Your point about being an excellent decoy is as much a part of his game as is his scoring. The very fact that teams have to formulate their Game Plan around “Oaks” makes the point. The counterpoint is that he is so flexible that there is no one specific plan that will consistently prevail against him. That speaks to his adaptability but also to that of the rest of the squad too. You can’t have one without the other. I think that David’s point was both complimentary and wishful. I too am happily voting for Quinn as the team MVP because he has consistently fulfilled his recruitment by his leadership. I guess David and I would be fighting to be first in line to plead with “Oaks” to stay !!! Mike “Silent G” Gbinije scored 17 of his 27 points in the 1st Half, shooting 5 of 8 from outside the Arc. A fan on Twitter wondered if he had his old Duke jersey underneath his ‘Cuse jersey. Rowan: The rest of that quote is, “and that he did not beat us tonight.” Cut to Duke fans collectively nodding at this. Actually in the last few games Michael Gbinije has been playing really great basketball, and this was his third game in a row scoring over 20 points. I am glad to see a player flourish upon leaving Duke, which is not normally the case. A player doesn’t normally transfer to another ACC team either, so there you have it !!! I certainly wish he had gotten the playing time he was recruited for, and stayed, instead of becoming disillusioned and being forced to take his talents elsewhere, especially within the ACC. Considering that ‘Cuse has self-penalized themselves for something that happened before most of these kids were recruited, do you have any thoughts on the fairness of such penalizations happen ??? Rowan: How many people came to see Duke play Syracuse ??? Over 35,000 right ??? That is a lot of ticket sales for a team playing for nothing. The general feeling is that Syracuse is going nowhere this season so they could afford to absorb such a punishment much easier, especially considering the recruiting class they have coming in next season. That means that the only people hurt are the fans, and the players being denied a chance to prove their worth in both the ACC Tournament and the Big Dance, especially the Seniors. Bermuda Bob: I believe that it is patently wrong to penalize any kid for the actions of a predecessor. I’m not sure if monetary fines are the answer, but it has to start somewhere else rather than this inequitable penalizing of kids who did nothing wrong. I feel terrible for the present ‘Cuse kids for a very real reason. Yup, I truly feel for the present “Cuse kids, but I sure wish the real violators could get theirs !!! Rowan: We had this discussion previously and my prevailing thought is that UNC is like a wounded grizzly (I don’t remember using such colorful terms though) and they should not be discounted after losing to PITT over the weekend. Duke is at home, so hopefully they can find that same intensity they played Notre Dame with. Bermuda Bob: The reason why the Duke-Carolina rivalry is the best in sport is because the players are playing for all the right reasons. They do not profit like the Yankees/Red Sox or the Celtics/Lakers or so many other supposed rivalries. The other reason is because the kids, from all over the country, on both sides, share the same small geographic area as compatriots, not enemies !!! This rivalry has guaranteed such incredible competition on both Home Courts that it is always scheduled promoted so all will not forget to watch. It can make temporary heroes of pariahs as when Austin “Da Black Hole” Rivers sank the winning shot, even though he is now looked upon as the makebate for that terrible season. This year will be a somber one after the passing of Dean Smith, as he was instrumental in developing and perpetuating this rivalry, and I, for one, am so glad he did !!! After blowing out Notre Dame at home, people were expecting a bigger win over Florida State, do you think this was unreasonable ??? It is a shame that the more success Duke has, the higher the expectations. Florida State has to be given some credit here, they did something a few teams have achieved this season: Move Jahlil Okafor off the block. Michael Ojo is 7′ tall and weighs almost 300 pounds. When he was in the game he used his strength to push Jahlil off the block. The Freshman scored most of his 13 points in transition, or when the Nigerian import was on the bench. Tyus Jones, Justise Winslow, and especially Quinn Cook picked up the slack, offensively. The Notre Dame game was an excellent effort and a great shooting exhibition. It may have been a demonstration giving credence to the thoughts we have had about Rasheed being a distraction. As for Florida State, any opponent playing in Tallahassee will find it unwelcoming with intense fan pressure, just like at Cameron. That said, one of the criticisms of Coach K’s non-conference scheduling has been his noticeable lack of true “Away” games. I think this played a part in Monday’s game. How would you rate the performance of the bench ??? Marshall Plumlee did a great job of holding down the forte while Okafor sat for most of the first half with two early fouls. Grayson Allen has lost ‘his deer in the headlights’ tag as he looks a little more comfortable on the court. Matt Jones didn’t make any of his 6 shots but had 3 big offensive rebounds. Allen played more minutes than usual but the trust isn’t there yet as Cook and Tyus Jones played around 40 minutes a piece !!! Duke went into the LockerRoom up 32-24 with “Oaks” on the Bench in foul trouble, which caused the team to pass and find the cutting player. Matt couldn’t find the “Hole” but looked like Duke’s new Tyler Thornton. “Plums” again contributed 10 major minutes, playing tough Defense and showing better hands on Offense. Grayson got 11 minutes off the Bench and began to look more comfortable. Just before his time was finished, he made a monster block from nowhere, leaping even higher than he needs to Dunk. That would be Quinn Cook, who scored a season high 26 points. Tyus Jones is a close second registering a personal best of a dozen assists to go with 16 points and a team high 6 rebounds. This performance sent their coach into an ‘I told you so’ mode after the game. Offensively they are good. Defensively they still need work judging by the way Florida State got back into the game, but who am I to rain on Coach K’s parade !!! I agree on Quinn, but think he ought to share it with Tyus. After all, they often played off each other, as proven by the 12 Assists Tyus was responsible while none for Quinn. There is a consensus that Duke is a different team since the start of the conference year, when they lost two in a row, can you see this ??? Their limitations are still very evident … no rim protection, or pick and roll … Defense on the perimeter is still a sieve, however they are doing a good job of covering these weaknesses. There is also a little more bite in their bark. Against Miami and NC State, when they were taken out of the game, they just didn’t seem to have any fight in them. Now, they go down 10 to an undefeated Virginia in the waning moments of the game, and still manage to win. On the road, against Florida State, even though they gave up a good lead, they remained composed and held on for the victory. I think the turnaround was at Notre Dame when they fought hard but still lost. After that game Tyus Jones and Quinn Cook have played with a lot more zest. Winslow seems to be overcoming his injury game by game. Duke is a maturing work in progress. Early on, opponents had no clue how to contain “Oaks” but now every opponent seems to have a game plan for him. Now, if “Oaks” goes to the Bench, they are showing a different but very effective look thanks to good Guard play. “Plums” playing hardnosed has been a big plus. The return to form by Justise is a huge plus. Matt has seemed to have begun to be Amile’s substitute, making that Forward position hard to consistently defend. All that said, they are not yet tournament ready, but they’re getting there. Once again I have to wonder what the heck was going on with Rasheed that catapulted him from the team and the team into a more unified squad. Something tells me we won’t know anytime soon !!! Coach K turns 68 on Friday but Jason Williams (now of ESPN) thinks he has a lot left in the tank, do you think this is possible ??? First of all let me wish a very Happy Birthday to our own Bermuda Bob who was born two days (albeit years later) before Coach K but has never brought this up in all the years that I have known him. I hope you have a wonderful day celebrating your own milestone. Larry Brown who currently coaches SMU is 74 and Jim Boeheim is 70, so yes I think Coach K has another 5 years left in him if he desires it. Incidentally Coach K’s mentor, Bob Knight, resigned from Texas Tech at 68. Thanks, Ro !!! I’m a bit younger (by 8 years) and I can tell you that it all comes down to your mind and body together cooperating with what you want to accomplish. That said, it appears that Coach K has no visible reason why he could not continue as Jay Williams notes. He does not seem to have lost any physicality, nor a bit of his wit and presence … just ask the Reporters on the Duke “beat.” I think that he would never stay even one day past the time when he could no longer be everything he feels he needs to be to the team, each player, the fans, and the University. We have had plenty of time to think about how and why Duke won on Saturday in Virginia. Why do you think Duke won that game ??? I have been over the Virginia game from every perspective. I reviewed the Play-by-Play, I even went back over our comments to each other during the game. I honestly believe that Virginia did what we both have criticized Duke for in the past – they took their foot off the throttle and it allowed Duke to double-down on their efforts. The stern perimeter defense of Virginia got lazy and simply double-teamed “Oaks” which allowed Tyus, Quinn, and Matt to hit very big 3 Pointers and shift the momentum to Duke. Knowing Tony Bennett, that will not happen again against anyone else in the conference !!! Some people have credited Duke for going to a 3-2 Zone in closing moments of the game, which cut off the middle and flustered Virginia, but Duke should really be credited for playing a team game. In the 1st Half, Virginia did a very good job of taking Okafor out of the game, offensively, and that was their mistake. When Okafor carries the Offense, it makes his team mates complacent. Keep all 5 guys involved and Duke is formidable down the stretch. With the big Freshman tied down, everyone was forced to get involved offensively and that does marvels for one’s confidence. Hence, Tyus Jones’s big shot at the end of the game. I have to give credit to Okafor for overcoming a horrendous start (5 turnovers) to finish the game strong. Those guys would not have been as open as they were if Okafor hadn’t made himself into a target. This was the most psyched I have seen the Freshman in 21 games. He ran the floor hard and hit the Offensive Boards for a put back. He really worried his defenders and made some clean, crucial passes. What do you think of Bill’s idea ??? I think Bill has touched on an excellent point. Very often “Oaks” seems to be playing not to Foul, which means there is no Defense at all !!! I lost track of the BackDoor scores and times when Virginia drove the lane uncontested. The Offense suffers when “Plums” is in because he is not an offensive threat. He continues to try to set those goofy looking Picks much too far away from the Paint. He does, however, play hard-nosed defense and challenges everyone who approaches. I think he deserves more floor time. Besides, “Oaks” seems to often be “puffed” from having defenders hanging on him constantly, so “Plums” has a role. I also think a 2-1-2 Zone with the “Twin Towers” look, with Amile as the Center, could flummox defenders with yet another Zone look. Offensively, Lieutenant Plumlee has potential. We have seen him pull off the occasional back-to-the-basket move, but those are rare occasions where he was allowed to get comfortable on the court. I do agree with Bermuda Bob when he says that Plumlee challenges everything. He may Foul often but he does something very valuable for this team – he hedges. Whenever the opposing team picks off a Duke Guard, Plumlee does not retreat to the paint, but steps forward to plug the hole, stopping the easy penetration. Someone else might have let the Guard through hoping to block the shot. Grayson Allen got in 11 minutes of Court time against Virginia. What did you think of his performance ??? I honestly believe that no player, especially a Frosh, can get better and contribute to his team’s system, without playing time. Grayson has looked somewhat tentative because he has gotten only 109 minutes in the 21 games Duke has played. A few times he never got his Warm-Up off during the game. Since we know that he is capable of driving the Lane, and is seemingly willing to do so, I think he ought to be encouraged to. That way, he might be more open for shots from the outside. Let’s hope it happens for him and he gets a faire chance. He was not very memorable. Maybe Allen should practice dunking less and work on his overall game more. I always marvel at a kid’s Youtube highlights where he is dunking everything, then gets to college and looks grounded. With his athletic ability he should be able to get to the paint more often. For homework he should study film of Gerald Henderson and his pull up mid-range Jumper. What do you make of the very evident lockdown of any information about Rasheed’s dismissal ??? I think that it looks like Coach K has installed the “Loose Lips Sinks Ships” mode for the team. It makes perfect sense, but it has caused a wholesale wave of speculation. Most of it is probably a bunch of baloney by people looking for a story. I presume Rasheed might be forthcoming sooner or later, but here’s a thought … He was not expelled, so there is no reason why Coach K couldn’t reinstate him next year after addressing whatever was the cause of his dismissal. Time will tell !!! It is as if he was never there. Was this game an emotional reaction to the loss of Sulaimon, and as cooler heads prevail will the Junior’s absence be more evident from the team ??? I believe fans will notice the loss more than the team will. He was a true “prime-time player” and the loss of his defensive prowess will be noticeable. Rasheed played both side of the court. I do not see anyone else on the Bench capable of filling his shoes. I thought that Duke may have turned a corner after the Notre Dame game because the general feeling was that they all played well but they lost. I felt that it was a “good loss” because they knew that they could “hang” with a team like that. They lost because of some key mistakes down the stretch. Tangible mistakes that they could improve upon. Then Sulaimon got dismissed. We won’t know if this is a distraction until maybe the second or third game after the emotions have subsided. What are your thoughts on the Georgia Tech game tonight ??? I hope that Duke does not take Tech for granted and begin to look to Saturday afternoon’s re-match with Notre Dame at Cameron. I hope they use the game to work on execution of their Zone. I prefer a 2-1-2 Zone to address Duke’s penchant for allowing BackDoor cuts because they rarely deny the BaseLine to opponents. I’d also like to see Duke put the “hammer” down and finish a game as tough as they usually begin each half. I wonder if Duke is a team that plays to the level of their competition. They get psyched for games against Louisville, Wisconsin and Virginia but drop the ball against Miami and NC State. They even played well against Notre Dame but struggled against conference bottom dwellers like Wake Forest and Boston College even though they eventually prevailed. I want to see Tyus Jones and Quinn Cook being aggressive all game and not standing around waiting for scraps off Okafor’s plate. Also, Jahlil Okafor didn’t get to the Free Throw Line, but Duke shot only 53% from the Line. It would have been worse if Tyus hadn’t made 5-of-6. There is still room for improvement. Are you amazed that Duke has continued to be ranked very highly in the Associated Press ??? Both of the rankings are nothing more than snapshots in time, and as such makes them somewhat reactionary, almost a “What have you done for me lately” type of thing. It honestly means nothing to me. Everyone knows that the month of February is pivotal in each of the major conferences as it sets the tone and seedings of the Conference Tournaments. Those Conference Tournaments seed the Big Dance. Ranking anyone anywhere does not necessarily reflect on who they are, just who they have impressed !!! I can see why Duke is still ranked high after losing to #8 Notre Dame and beating #2 Virginia. Plus Virginia was undefeated in 19 games, so Duke beating them on their home turf has to be rewarded. Some people point to the fact that Duke is currently middle of the pact in ACC standings. but they ignore the fact that the Blue Devils have played only 8 Conference games. Most teams have played 9. Notre Dame and North Carolina, both ahead of Duke in the standings, have played 10. We welcome all of your comments, and suggestions for topics !! !